Some might think they’re one and the same and hopefully, I can shed some light on that. Let me start by saying in over 20 years online many things have changed but several things have stayed the same. For instance, you only have a short period of time to make an impact with your website visitor, your intent needs to be quick and to the point on both a home page and a landing page. So let’s get to the differences. 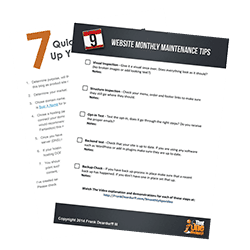 A home page is what the visitor sees when they arrive at your website. For example, if you were to enter the domain https://frankdeardurff.com you would come to the main (or home) page of my website. This is the page I use to give you a brief bit of information to guide the visitor to a specific area of my website to get the information they may be looking for. I’ve tried to give them enough information to get them to the next step of what they are looking for quickly. From this page, they could reach the key areas such as products and services or even the most recent posts from my blog. While there are many areas of my website, I utilize the home page to direct the website visitor what I want them to see most. A Landing page, on the other hand, is a page that a website visitor would “land on” based off a promotional link or email. In most cases, this is a page that would contain an opt-in form for them to fill in their name and email to receive more information, a give-a-way or special offer. The Landing page, generally cannot be found in normal navigation and is only located by a direct link. 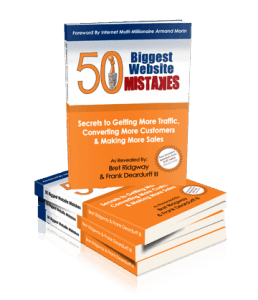 You can see an example of a simple landing page by clicking here. 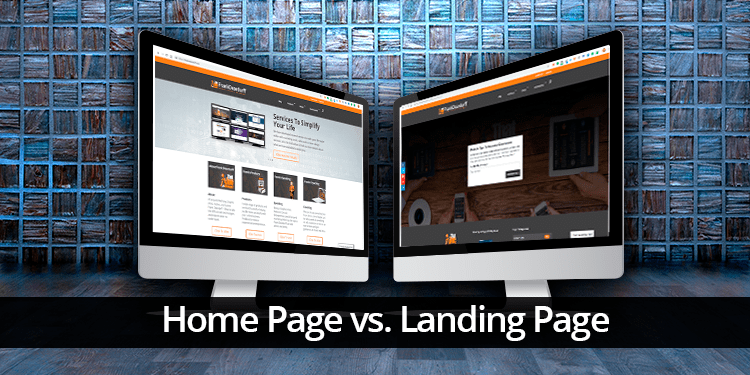 I hope this explanation of homepage vs. landing page has helped you determine how to best use either in your online marketing.